I usually have two projects going at once; something complicated and something simpler. This way I can keep my fingers working, help solve the mystery I'm watching on television, and still not fry my little grey cells. But this latest yarn purchase is almost all lace-weight yarn, and some of the patterns I'm dying to try are a bit convoluted. I may find myself with three projects going at once, but I'm going to try to avoid it. Too many projects means less chance of getting any of them finished! Next I thought I would show you two completed projects. I call this my Where's Waldo Scarf even though I know the colors are all wrong. 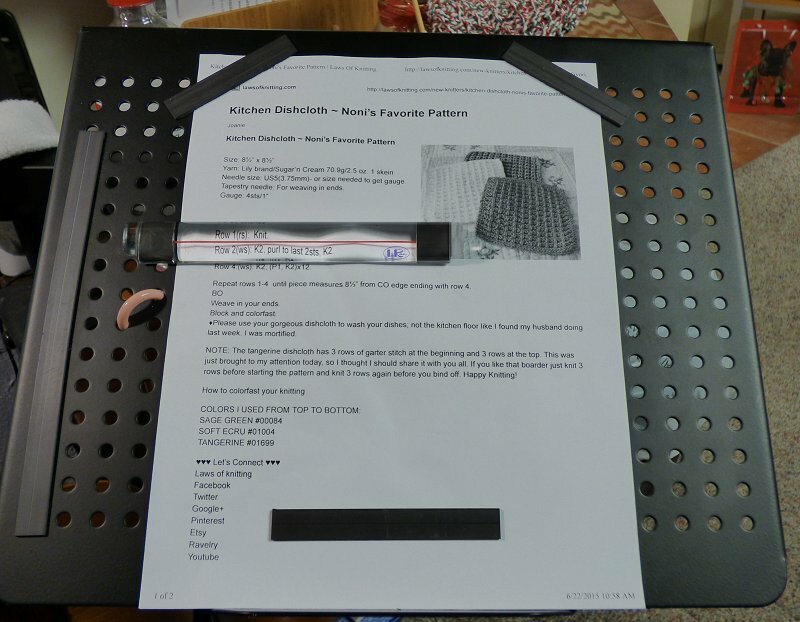 The pattern is called Chevron Lace. 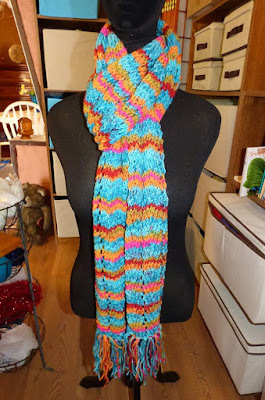 The scarf is soft and warm and more than long enough to cover your head and ears, too. I was knitting this when my friend was visiting from the Seattle area. He asked me all sorts of questions about knitting. Why circular needles? What's a cowl? Why are you putting fringe on that scarf? How many skeins of yarn will it take to make an afghan? 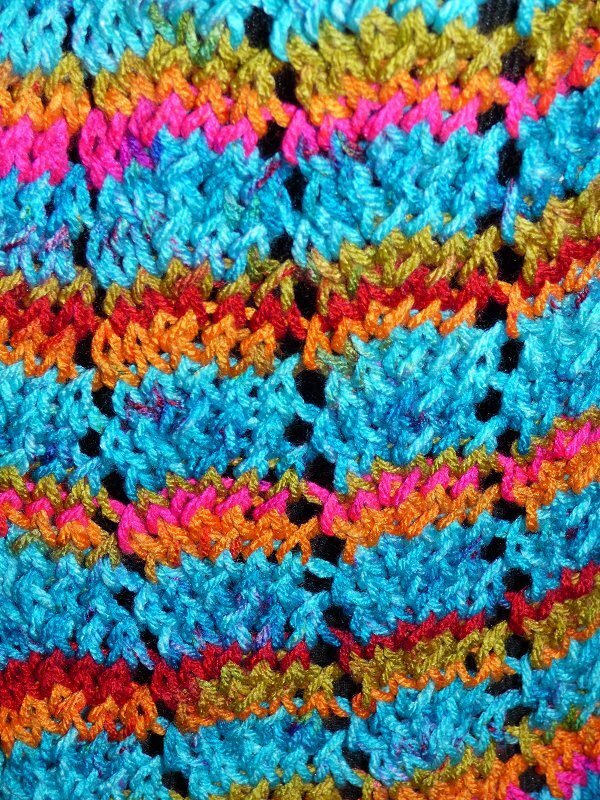 What's blocking, and do you have to do it to everything you knit? Too bad he doesn't want to take this up-- I've got him halfway trained! I thought you might like to see a closeup of the Chevron Lace pattern. I was kidding around with someone and told them that the scarf is so warm that it needs its own ventilation system, hence those rows of holes. 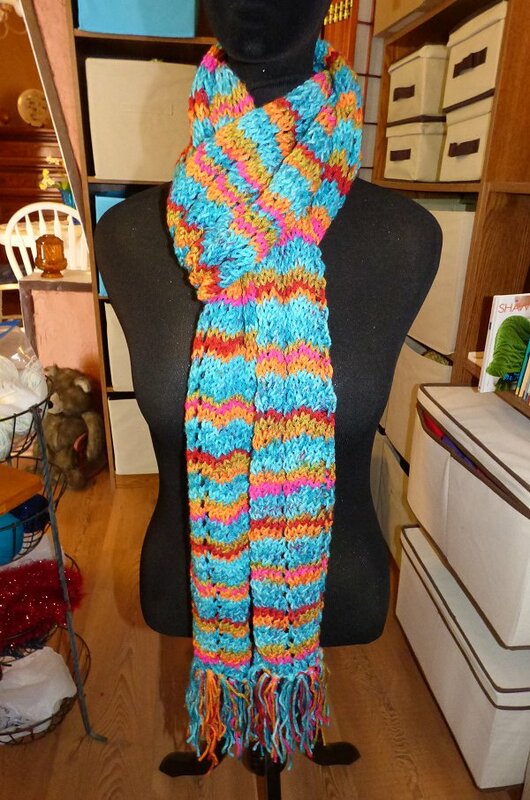 I really like this scarf, but I have no clue who the recipient is going to be! 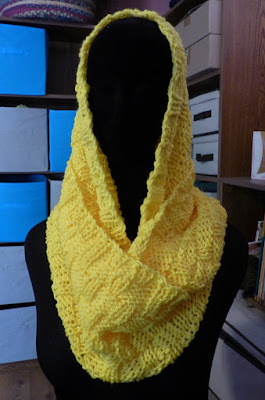 This is another cowl, or infinity scarf, that I've completed in a simple basketweave stitch. Can you believe it? The name of the yarn color is a simple, unimaginative "Yellow." Wow! Anyway, you can see that the cowl is plenty big enough to cover your head if you like, or just leave it around your neck and shoulders to keep them toasty warm. Some colors have a tendency to remind me of something. This shade of yellow always makes me think of a smile. It's just a happy color, don't you think? Now... what have I been watching in the evenings while I'm knitting away? 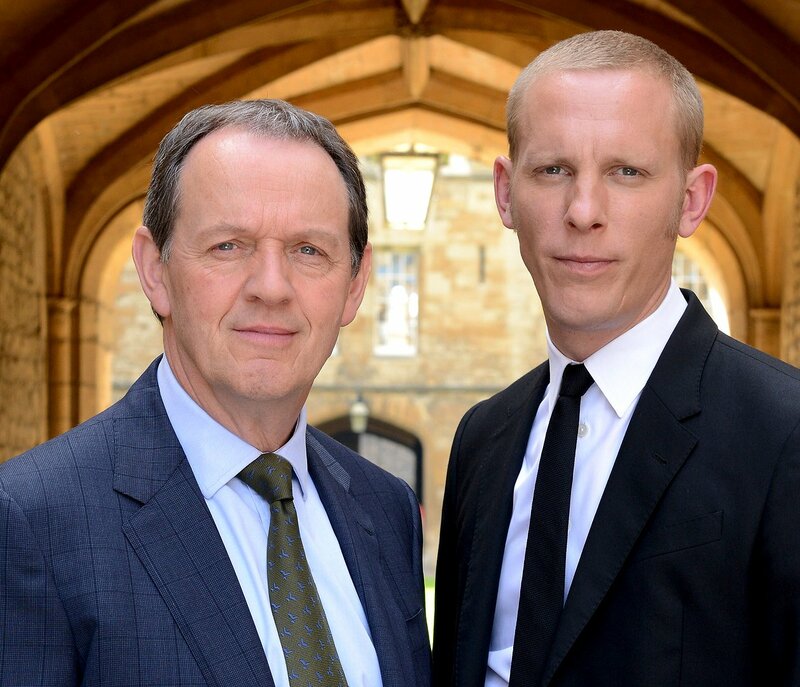 Actually I'm rewatching one of my all-time favorites: Lewis, or as it's also known, Inspector Lewis. How much do I like this series? It's available free for Amazon Prime members and probably a few other places as well, but I have the complete series (all nine seasons) on DVD. I also have the complete series of Inspector Morse on DVD, but when I first learned about Lewis, I was absolutely thrilled. Why? Because I always preferred Kevin Whately's Robbie Lewis to John Thaw's Morse (although Thaw was perfect in that role). How can anyone watch Lewis and not want to visit Oxford? Those buildings are gorgeous! So chalk one up for cinematography. Come to think of it, while you've got the chalk out, make another mark for theme music. It's running through my head right now. The composer, Barrington Pheloung, also did the theme for Inspector Morse, which is quite clever since he used Morse code to spell out Morse's name... or the killer's... or an innocent character's. The mysteries are first-rate because it took me watching a few times through the series to finally remember whodunit in most of the episodes, but-- as usual-- it's not just the plots that are important to me, the characters have to be just right. Lewis has a strong supporting cast, like Dr. Laura Hobson (Clare Holman). She's the perfect blend of knowledge, dedication, tenacity, and humor-- and she plays well against Lewis and Hathaway. She even gets a share of the spotlight from time to time. I also like Chief Superintendent Jean Innocent (Rebecca Front). Like Hobson, Innocent can more than hold her own against the two male leads. Innocent (wonderful name for a copper!) can be quite helpful when need be, and her sometimes caustic wit makes me laugh. One of the things I often wonder when watching Hobson and Innocent is... how would Morse have reacted to having two women in such positions of authority? Stories, music, cinematography, actors... as far as I'm concerned, Lewis has it all. Perhaps that's why it's one of the very few television series that I'm happy to watch again and again. How many of you have watched this series? How many of you have watched Inspector Morse? Which do you prefer? Questions, questions-- I must be watching a mystery! What beautiful, beautiful finished products, Cathy! You've really got talent! And as for Lewis, it's one of those few cases (in my opinion) where the continuation (not sure I'd really call it a spin-off) is of the same calibre as the original. I wouldn't call it a spin-off either, and I even think it's like The Godfather Part II-- better than the original (although Morse fans may disown me for saying that)! I've seen some episodes of Inspector Lewis--Dad always had something recorded for us to watch with us when we came to dinner. I thought they were good. Haven't seen any Morse, as far as I know, so I can't answer the other part of your question. And here I sit with the entire collection of Morse episodes on DVD! 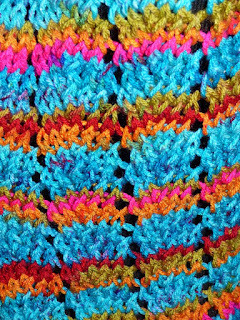 Lovely knitting. Some friends will be warm and toasty in the coming winters. I like Inspector Lewis. My favorite detective of the BBC classic series in Inspector Foyle played by Michael Kitchen, but I enjoy Lewis, too. I really enjoy Foyle's War, too. "Once again I quite agree with you - this time about Inspector Lewis. However!! Do not overlook the "earlier" Morse series: Endeavour. Also quite well done. And again the theme music is the same as Morse. 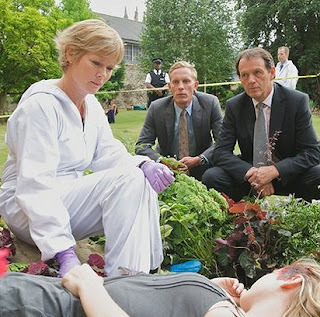 And now to be completely different - what do you think of the Midsomer Murder series? I like them well enough - BUT - there are so many murders for such a little town (and nearby towns) that it is a wonder there are any citizens left! Reta, I was thinking about writing a post that features "Endeavour." If I'm not mistaken, Denis and I got to watch the second season of it while we were in the UK. Very well done! As far as "Midsomer Murder," I have mixed views. I enjoyed several character details in Caroline Graham's books that-- for some reason-- were left out in the TV series. However, I did enjoy most of the series when John Nettles was DCI Tom Barnaby. But the last couple of Nettles' seasons seemed to limp along a bit, probably because Nettles was tired of being Barnaby. I have nothing against Neil Dudgeon as DCI John Barnaby, but the stories don't have much new in them at all. I have to admit that now I'm watching them due to a sense of loyalty and because I do love seeing which gorgeous little village they've filmed in next.